Its been a year and I am sharing my pain today. I wanted to share it with proud but today I am asking for justice. A very few people know that Niharika Sharma - A fashion Designer copied my painting (Panihari) for her collection in WIFW 2012-Spring Summer without my knowledge and permission. Today after a year I am sharing my pain when I never heard back from her after words. It was my fortune that one of my readers informed me that my painting was on ramp. 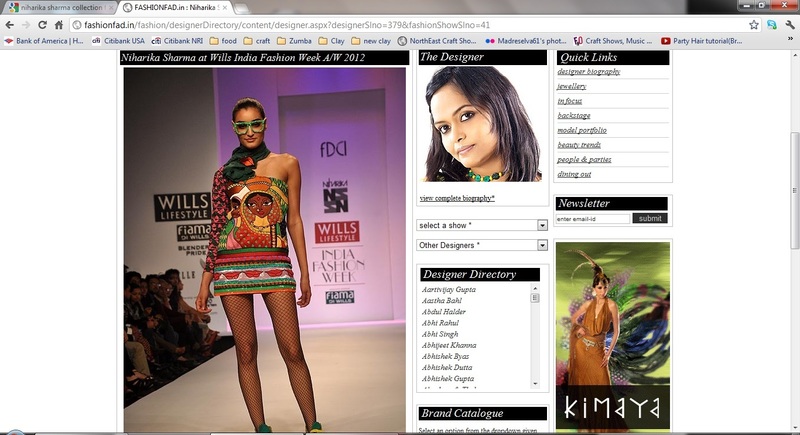 Images on Times of India conformed. 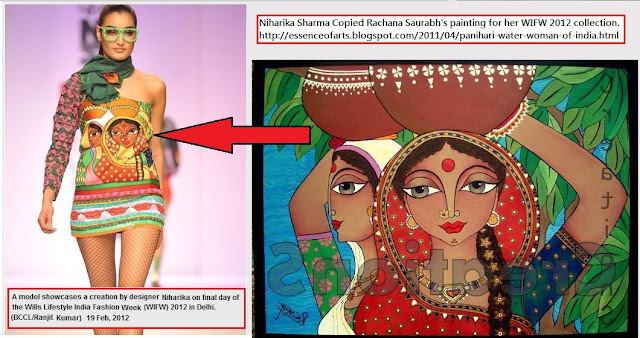 When I contact the designer, Niharika Sharma, she accepted that she has used my painting for the collection and promised to give credit. Out of her 8 dresses Niharika used my painting in 3 dresses, she got good response and her collection was sold-out in many countries. and she will give credit to me.. Sadly she never did. 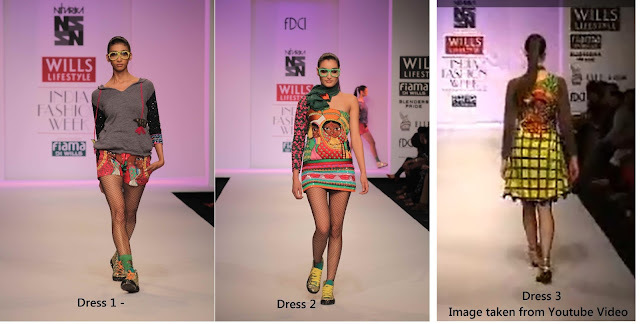 All the 3 dresses she made with my painting. I am adding screenshot of the web-site where I found images. 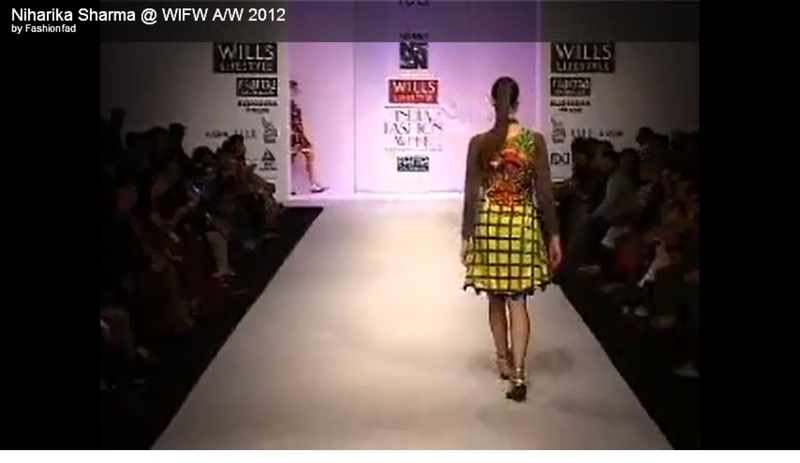 This is the Third Dress - She used my work in back of the dress. Its a screenshot of the official video of the show on youtube. I never get credit or compensation for my work. 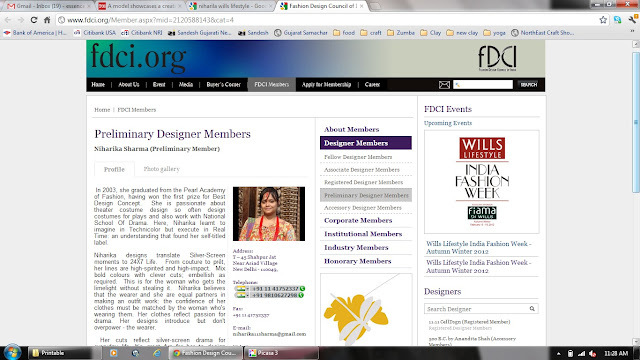 It has happen many times, big designers stole dreams of a small artists and earn name and fame. 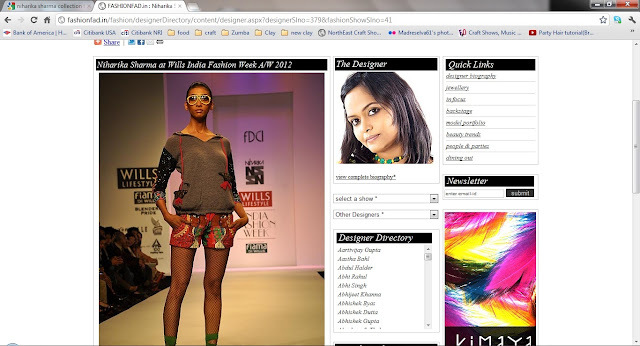 The Designer Niharika Shama and her FDCI profile. I am asking for justice here. Please respond to my post and Share. May be your support can help me for justice. Way to stand up for yourself! I've been a silent admirer of your art. Your paintings are unique. This episode with the Niharika Sharma is very wrong. I hope you get due credit for your work. The very fact that the designer acknowledged your work but is not willing to provide monetary compensation speaks volumes about the credibility of her work. Oh vow! I don't think verbal acknowledgement is enough. this is clearly copy right infringement. How about you contact a lawyer and claim a portion of her sales. BTW, I am new to your site. Beautiful work..will browse more. OMG! that is ridiculous. You should flood the social media and possibly write to TOI and other newspapers. your art is gorgeous as clothing. I wish you justice and abundance that will make you happy.